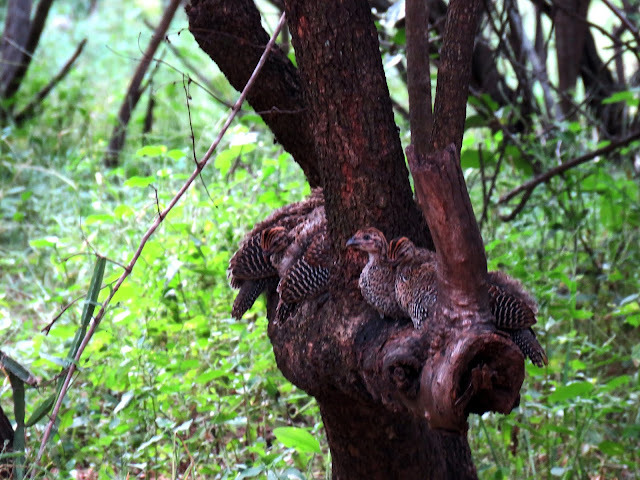 We howled when these baby helmeted guineafowl became frightened when a warthog entered the garden and they flew into the tree, each pair facing a different direction. Male kudus, Big Daddies, often hang around together. A year ago today was Easter and we attended the Marloth Park Easter Fair while we ran into many locals we've come to know and enjoyed checking out all the booths with the variety of wares from vendors from near and far. Of course, it was April Fool's Day as it is again today, an occasion for which we have little interest in participating. At this point in time, neither of us are interested in any surprises! We've had our share. Today is the third day I've spent in a hospital while the infections in my legs are treated by various means along with a few surgeries to debride the dead flesh and work on the wounds by a competent plastic surgeon. Later today, I go to "theatre" (as they say here in South Africa) for my second surgery. Fortunately, based on what the doctor told us this morning this will be the last surgery on my legs. Once I recover for a few days, we'll be heading back to Marloth Park. Many of our loyal readers have kindly written with the warmest of wishes and prayers. Many are asking how we're holding up. Tom had been doing better than I expected. This is certainly difficult for him. We both have been under stress over all of these surgeries, their outcomes, and their costs. The insurance company has yet to commit to paying for the angiogram and bypass surgery or this current hospitalization. We wait with bated breath hoping they will come through. No doubt this has been a big stressor for both of us. 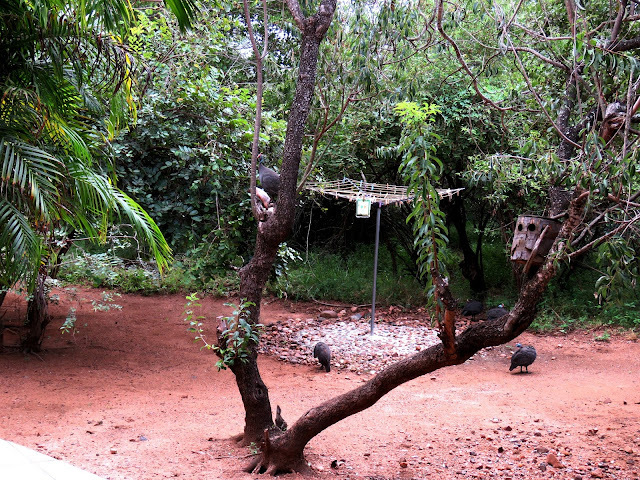 Guineafowls often gather near the clothesline. Go figure. Somehow, we've managed to stay on track, maintaining a decent attitude while striving to keep our solid relationship strong and meaningful. If ever there was a time a couple could get testy, it would be now. But, we both work hard to stay closely connected and supportive of one another as we muddle our way through these issues. As mentioned in yesterday's post, for the best ultimate long term results, we both are letting go of the worry, stress and concern and simply moving forward, grateful for what we do have as opposed to what we don't. That's no easy to do but the results we'll reap will be many. I just returned from a walk with the physical therapist. We're both pleased I could walk for about 10 minutes. The only thing holding me back is the pain in both legs. Otherwise, I'd certainly be able to do at least the 40 minutes I'd been doing at home. Soon enough, I'll be back at it even after losing a little ground due to today's surgery that will keep me down for about 48 hours. We're both optimistic. We're both hoping we can go home well before the weekend. May you have a fun and playful April Fool's Day if you choose to partake in its pranks and playful antics. Last year's Easter Fair in the bush with various styles of artwork on display. For more fair details, please click here. Thank you for taking the time to wish me well. 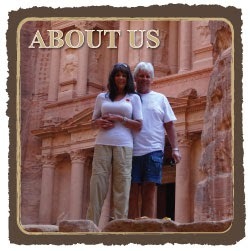 Your readership means the world to us.